COMPLETE POF 10.5" 223 Gas Piston Rifle. The P415 Edge by Patriot Ordnance Factory is a 10.5” AR rifle with a standard drop-in 4.5-pound trigger. The Edge sets itself apart because it is an all-purpose sporting rifle that has been continually improved on for almost a decade. The Gen 4 short barrel rifle features a five-position adjustable gas block and only weighs seven pounds when loaded. With a mission-first tactical grip and complete ambidextrous fire controls, you’ll quickly see how this rifle has been perfected to provide better ergonomics and a higher comfort level while shooting. With an NP3 coating and an E2 chamber, this Edge is as reliable as can be. 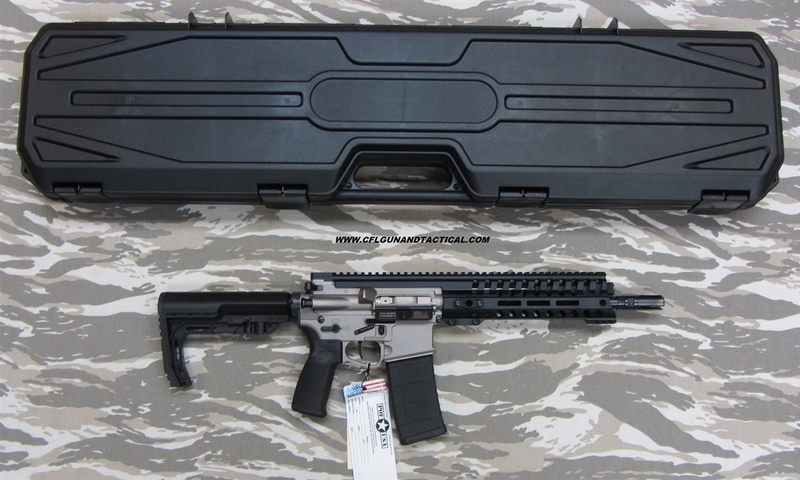 This listing is for a complete POF 10.5” Gen 4 P415 Edge Gas Piston Rifle. This is a short barrel rifle.